On the occasion of the “World Teachers’ Day,” the College of Pharmacy organized an event on Thursday, 14th December 2017 at the hall of the Maternity and Children Hospital Makkah. The event included many lectures by Umm Al-Qura University (UQU) staff members. For example, Dr. Sharaf Ezzat Al Sharaf, Head of the Department of Pharmaceutical Chemistry, gave a lecture on “Staff Member-Student Relationship.” He stated that the good relationship between a university student and his/her professor was the cornerstone of his/her scientific and practical career and the point of his/her true start towards a promising future that qualified him to be an active and productive member. In the same context, Dr. Rania Zainy, Staff Member and Head of the Department of Medical Education at the College of Medicine, gave a lecture about the effective role of the teacher in the educational process. In this regard, she said that these days of the modern millennium, the role of the staff member did not only depend on the absolute explanation of curricula, but also was a significant and fundamental role in facilitating the learning process and the use of modern technologies in university education. She added that this would move the student from the stage of information memorization to the stage of understanding, thinking and creativity. Within the same framework, both Dr. Mahmoud Essam Al-Rajjal and Dr. Majed Ali, Head of and staff member at the Department of Clinical Pharmacy at the College of Pharmacy (respectively), presented a debate entitled, "Is There Still a Need for Staff Members in Classrooms?" In addition, they conducted a live poll that included the attending staff members. The result was majority approval of the staff member's important and indispensable role in the classroom to the extent that it could not be replaced by modern technology. The event also included a lecture by Dr. Nada Baju’aifer, Staff Member and Vice-Dean for Educational Affairs at the College of Medicine and Head of the Academic Guidance Program. The lecture was entitled, “The University Professor and Academic Guidance.” Dr. Baju’aifer shed light on the concept, objectives and philosophy of academic guidance. She also explained the mechanism of work of the staff member and the method to fulfill his duties in the academic guidance of students. The event was concluded with a lecture by Dr. Somayya Ezzat Al Sharaf, Vice-Dean of Scientific Research for Volunteerism and Volunteer Research and Assistant Professor of Clinical Psychological Health and Psychological Counseling at the Psychology Department at College of Education. The lecture was entitled, “How to be an Effective Professor?” During the lecture, Dr. Somayya Al Sharaf pointed out to the successful teacher’s psychological compatibility, administrative and psychological skills, characteristics, psychological and physical health, and role in the successful educational process. 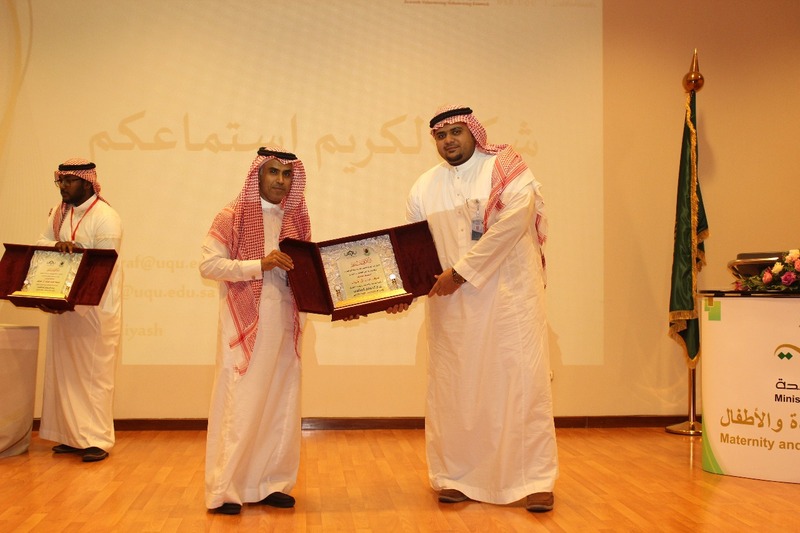 At the end of the event, Dr. Ahmad bin Omar Babalghaith, Dean of the College, honored the participating staff members. This was followed by honoring the College’s vice-deans and department heads. Finally, Dr. Babalghaith honored the College’s distinguished staff members.